Before becoming President of SomethingNew, Jaime was a sales leader at Microsoft & Gartner. She spent the last 15 years recruiting, building and leading top performing sales teams while advising some of the most competitive companies in the world. Today she coaches companies on leadership, diversity & team building. 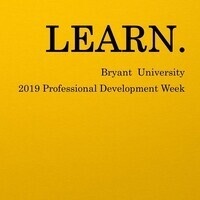 As a former captain of the Bryant women's soccer team, she credits much of her success in life & business to the leadership lessons she learned here at Bryant in the classroom and on the field. She believes the strongest leaders and teams are built from within. She has successfully taught hundreds of clients how to use self -awareness to achieve success at work and in life.